While you love your pets and treat them like family, you probably don’t want to share their odors or messes with visitors in your home. Therefore, you probably spend a lot of time and money investing in products that keep your household not only clean but smelling good! 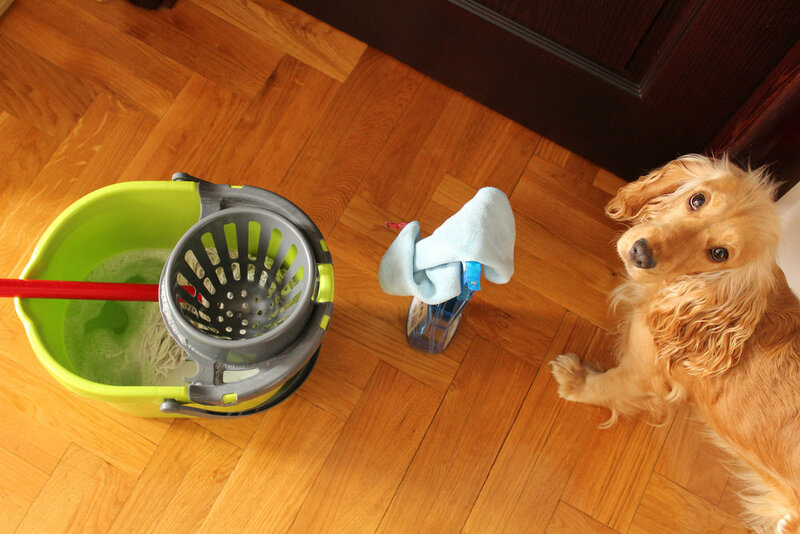 Yet, did you realize some everyday cleaning products contain ingredients toxic to your pets? Keep reading to ensure that your house is safe for every family member. This ingredient is found in most all-purpose cleaners. From glass to stove top, glycol ethers may make your home surfaces sparkle, but they also have the possibility of causing nerve, liver and digestive damage to your pets, if ingested. You probably keep the laundry bleach out of reach as its poisonous traits are well known. Yet, chlorine can also be found in scouring products, the toilet bowl, and your laundry and dish washing detergent. Inhaled chlorine can also lead to respiratory distress, but ingested chlorine can lead to other side effects such as seizures, vomiting, diarrhea, and ulcers. Ammonia is typically found in window cleaning products and occasionally all-purpose cleaners. This product will harm the mucous membranes of your pets. Formaldehyde can be found in unusual places in regard to the household. From laundry and dish detergent to air fresheners and even soap, this ingredient is carcinogenic and considered toxic. Remember your pet is exposed to many more surfaces in your home than your human family members. From their paw pads on the bare floor to their nose and mouth constantly exploring every nook and cranny, dogs, cats, and even pet birds may be exposed to more cleaning products than the average person. The best way to keep your pets safe is to be conscious of the cleaning products you’re using and to opt for natural or green products. Not only will these clean your home just as well, but their ingredients won’t be as strong — but you should still keep them away from your pet, no matter what.